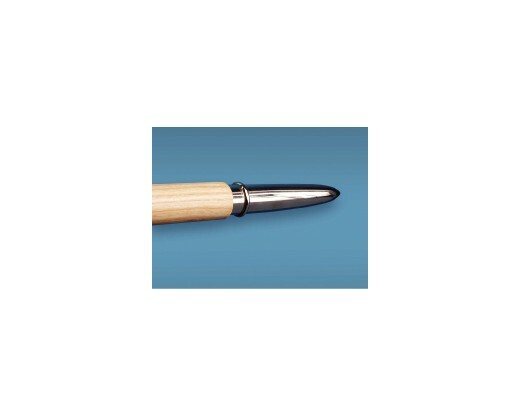 Pointed bottom ferrule available with a brass or chrome finish. Inside diameter of the ferrule measures .865 inch. Outside diameter is 1". It is 5.25" long overall.